Chances are that you’ll know of Theresa Breslin as a much-loved author. But did you know that she’s also an active advocate for libraries? Against the backdrop of regular cuts to UK libraries today, she emphasises the need for libraries to remain abundant and open, so that they can continue to ensure access to books and other fundamental services for everyone. Our libraries, in the great tradition on which they were first inaugurated and enshrined in the law of the land, provide access for all. With a widening gap in household incomes, in a world where we welcome diversity, in a society where we remain humane enough to offer refuge to those in peril of their lives, the library is the safe space, which is freely open to everyone. A professionally staffed library service delivers information literacy: enabling customers to access, research and evaluate what is presented as factual, in all the forms in which it may be contained. Specific services encourage skills in learning, personal growth and enjoyment, and social and economic development. In addition to the provision of knowledge and information retrieval skills, our libraries are a key component in embedding the joy of reading for pleasure. 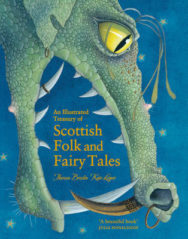 Liaising with local schools and nurseries, running book clubs, organising poetry slams, arranging author visits, hosting Book Festivals and partnering with key organisations such as Scottish Book Trust, they offer a multitude of literature-based experiences to the public, which might otherwise be inaccessible. Through reading literature, we are able to think and feel at the same time. Reading widely, we build awareness of our own lives and that of others, which aids our development as mature, well-informed citizens of the world. Exposure to stories, essays and poetry from where we live, using our language, contemplating our culture, with themes and characters which resonate with our lives, is enormously self-affirming. It helps us articulate self-expression, imbues confidence, validates our life and culture, and leads to social and emotional literacy. For the above to happen, libraries must be available and run by staff trained in selecting and promoting stock who ensure that the distribution of literature is fair and equable. Disadvantages for non-readers are significant and well documented in various reports. The cuts to book budgets, library opening hours, mobile services, local branches, and the drastic and unnecessary deletion of professional posts, strike at those most in need of a library service and those least able to protest against the cuts in that service – the less affluent, the elderly, the frail, people who are challenged mentally and physically and their carers, those who look after babies and toddlers and, crucially, our children – who are our future. 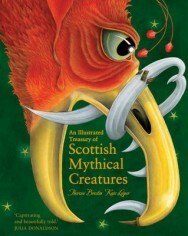 Theresa Breslin is the popular Carnegie Medal-Winning Author of over 50 books covering every age range. Her work, which includes folk tales, picture books, fantasy and humour, historical novels, modern issues, short stories, poetry and plays, has appeared on television, stage and radio, and is read world-wide in many languages. 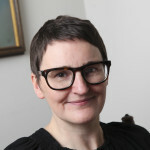 A former Youth Librarian, and Past-President of CILIPS, Theresa is passionate about children’s literacy and literature and is an active advocate for libraries. 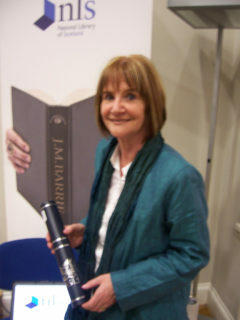 She is an Honorary Fellow of the Association of Scottish Literary Studies and was awarded Honorary Membership of CILIPS for outstanding services to children’s literature and librarianship. 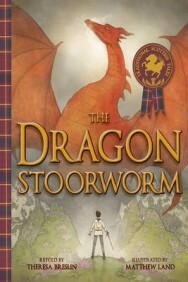 Her two Illustrated Treasury collections of Scottish traditional tales and The Dragon Stoorworm, published by Floris, are top sellers. May 2018 sees the publication of Mary, Queen of Scots: Escape from Loch Leven – the story of Mary’s daring escape, packed with drama and historical detail in a spectacular children’s picture book with stunning illustrations, to be published by Floris.